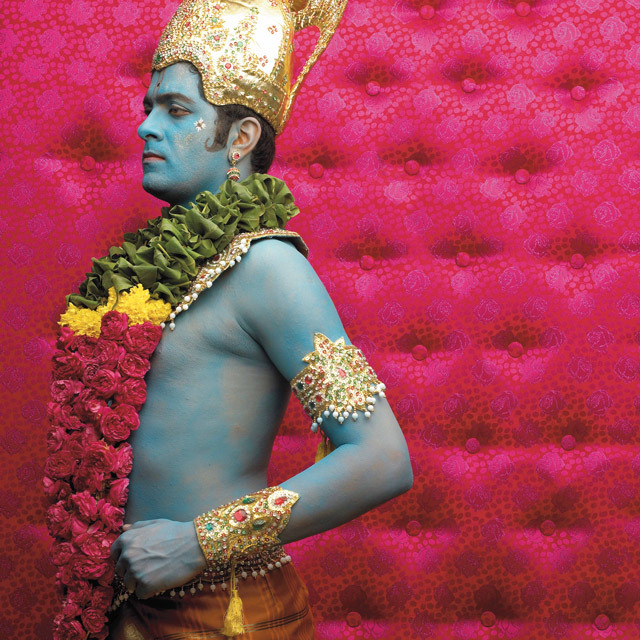 REASSURANCE, FROM THE SERIES DEFINITIVE REINCARNATE, 2003/2006, NANDINI VALLI MUTHIAH, INDIAN, B. 1976, COLOR PHOTOGRAPH, 40 1/4 X 40 X 1 IN., COLLECTION OF SANJAY PARTHASARATHY AND MALINI BALAKRISHNAN, © NANDINI VALLI MUTHIAH. / Image: via SAM. Featuring work from Valay Shende, Debanjan Roy, Clare Arni, Vivek Vilasini, and many others, “City Dwellers” explores how things like transportation, women’s roles, Hindu mythology, and ordinary customs and ways of life are shifting in the urban Indian landscape. The more than a dozen artists featured in “City Dwellers” live and work in many different Indian regions, which means that their work, although unified in its urban theme, is incredibly varied in style and perspective. 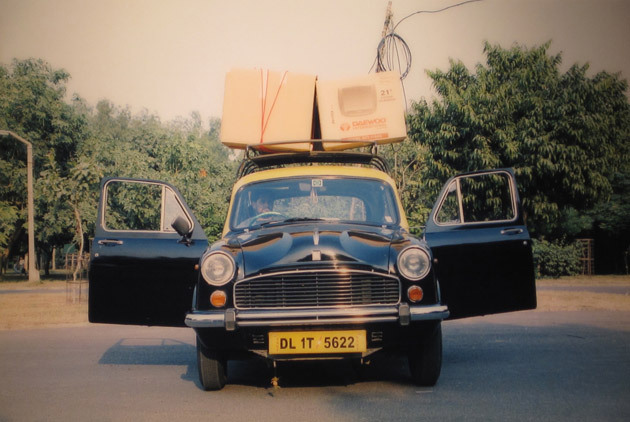 UNTITLED (TAXI), 2003-2006, SUBODH GUPTA, INDIAN, B. 1964, FACE MOUNTED PHOTO ON PLEXIGLAS, 36 3/4 X 54 3/4 IN., COLLECTION OF SANJAY PARTHASARATHY AND MALINI BALAKRISHNAN. © SUBODH GUPTA, PHOTO COURTESY SUBODH GUPTA STUDIO. / Image: via SAM. Dayanita Singh, for example, focuses on upper-middle class women in Kolkata (formerly known by the British colonial name Calcutta) in her stunning photography series Ladies of Calcutta that traces the changing roles of Indian women. Subodh Gupta’s beautiful photographs also capture social and cultural changes that are taking place within urban India, but focus on objects instead of people. “In his photographs he similarly singles out iconic situations or objects to comment on the construction of natural and cultural identities,” SAM explains. Be sure to see all of the deeply inspiring art for yourself by visiting “City Dwellers” at SAM before February 16, 2015.